Ottawa can be a charming place to visit for anyone. Naturally though, a lot of the visitors in any given year come from south of the border, in the U.S. Indeed, it can be a little bit difficult to narrow things down too precisely to reflect recent history, but according to reports from 2017 some 14.3 million Americans visited Canada overall in that year, compared to 6.5 million from overseas countries. Now, you need only browse this site for a short time to see that there’s plenty for tourists from anywhere to enjoy in Ottawa. But what might appeal specifically to some of those droves of American tourists? Of course every traveller is different, but here we’ve put together a checklist of attractions and activities we suspect might specifically appeal to Americans crossing the border. There’s plenty of sightseeing to do in Ottawa, with everything from the National Gallery of Canada to the Rideau Canal making for a striking sight from the right angle. From an American perspective though, the Notre-Dame Cathedral Basilica might be the most unique visual attraction in town. The U.S. has its impressive cathedrals, but true to its namesake, this is the sort of building people are more used to seeing dotted around Europe. Its facade is incredibly striking, but the interior of the cathedral is arguably even more impressive. NHL hockey is by no means unique to Canada. Most of the teams, as you may well know, are in the U.S. Even American hockey fans will often concede that this is in many respects a Canadian sport though, and you really can’t enjoy it to the fullest until you see a game in Canada. The Ottawa Senators don’t have quite the reputation of the Montréal Canadiens or Toronto Maple Leafs, but they still play regularly in front of fun, excited crowds. Most of Canada’s publicity in the casino arena comes from the country’s ever-expanding network of online gaming opportunities. Regulated slot sites and readily available bonus offerings attract a great many players, both from Canada and among visitors who might not be used to such games being legal. There are brick-and-mortar casinos in the country as well though, and Ottawa’s Casino du Lac Leamy is one of the better ones. Americans, who typically only get to experience casinos in Las Vegas, New Jersey, or at select Native American properties, will enjoy a huge gaming area, attached restaurants, and a wonderful theatre, all in all comprising one of the best entertainment venues in town. 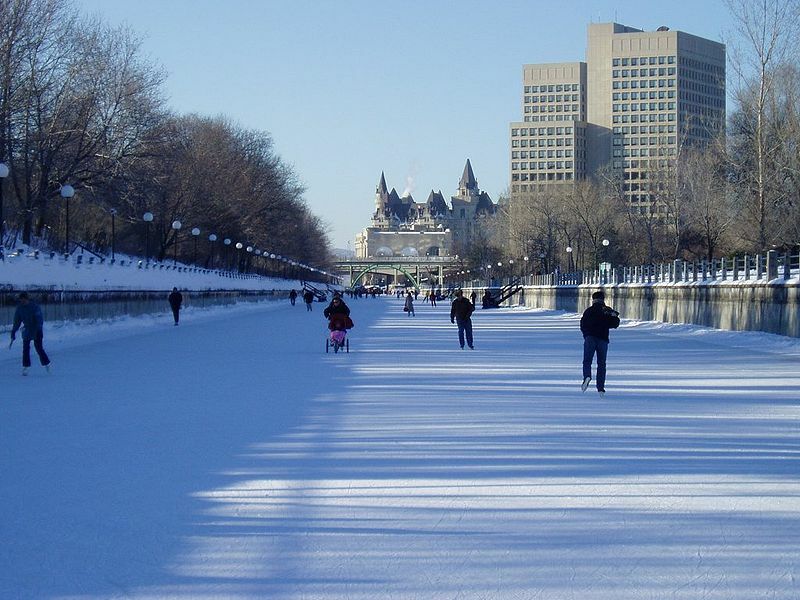 Rideau Canal is effectively a river that runs through Ottawa, and as mentioned, it can be among the city’s more striking sights from the right angle. More unique, though, is the canal during winter, when it freezes over and welcomes crowds of people for outdoor skating. This isn’t something you never see in the U.S. In fact, even New York City has outdoor skating rinks when it’s cold enough. But the chance to simply skate up and down a canal running through a major city is a novel attraction for plenty of Americans, and ultimately it’s one of the most charming experiences in the city. Copper Spirits & Sights is a bar located at the Hyatt Andaz in Ottawa’s Byward Market. It’s a high-end lounge located on the property’s 16th floor, and thus gives you some of the best views you’ll find of the city. That’s a treat for most any visitor, as it’s always nice to get a sense for what a city looks like from up high. Americans might enjoy this bar in particular though because it’s known as one of the best places in the city to get a Caesar. This is a sort of Canadian alternative to the Bloody Mary (which is far more popular in the states), and has been described as one of the foods (or drinks) only Ottawa does right. Last but not least, many Americans are sure to appreciate the presence of ski hills in close proximity to Ottawa. Skiing, of course, is an option in many parts of the U.S., and there are areas in the Canadian Rockies that have far higher and more challenging slopes. However, there’s something pleasant that travellers will definitely appreciate about staying in a city like Ottawa and being able to drive just 15 or 20 minutes to a ski destination like Camp Fortune or Mont Cascades (both of which even happen to offer night skiing!). Don’t let the sign out front listing the daily quiche special and the awkward tv sightlines fool you, Whispers Pub & Eatery is a fine establishment, and home to quite possibly the finest wings you’ll ever eat. Located in an old house on Richmond Road in the Westboro neighbourhood, is Whispers serves them unbreaded, the way the good lord made ‘em, and cooked to perfection. There is nothing not to like about these crispy, saucy SOBs. The suicide sauce specifically, is otherworldly. A good heat, but not pain inducing, and so delicious. They’ve got a bit of a sourness to them, which works well. And if wings doused in the greatest sauce ever created aren’t your thing, they do have other options. The chef’s challenge is a bit peppery for my taste, but definitely much hotter than the suicide if spice level is your main objective. Otherwise, the hot, honey garlic, and jerk are all lovely as well. I’m sure the mild and medium are fine too, but I’ll never know. They even have a tandoori flavour, which they bake in the oven, if you like the non-traditional route. I know what you’re thinking. They do sound delicious, but do I really want to go all the way out into the boonies to enjoy these wings? The short answer is yes, yes, you do. And if you’re worried of being in the middle of nowhere because you’re looking to make a night of it, although Whispers has no immediate neighbours of note, if you’re willing to walk 10-15 minutes East (an excellent way to digest your wings), you’ll arrive in Wellington West and start hitting lots of other Bars and Restaurants. 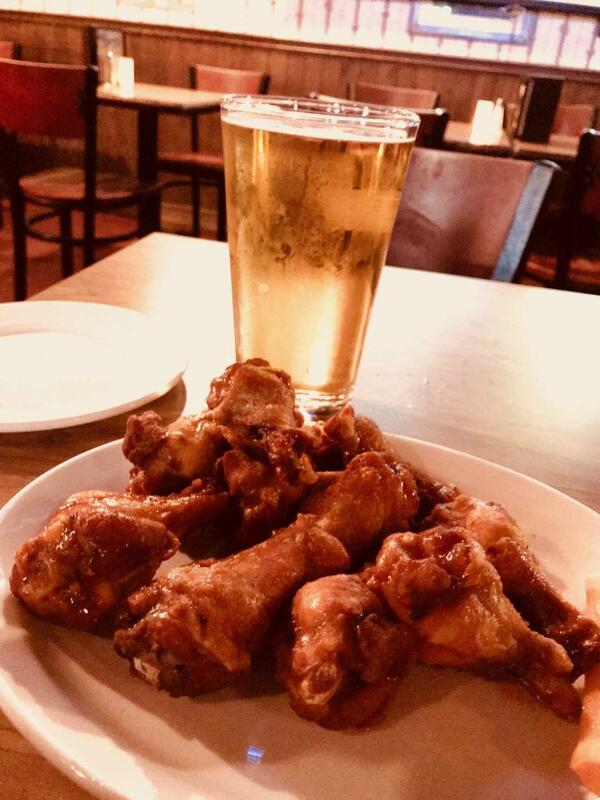 Or maybe you’ll decide that another order of wings and two more pints is just what you need to get your courage up to order the quiche. Anyone who’s spent any time in here knows there is no shortage of great restaurants. Narrowing it down to the best ones is no easy feat – especially when it comes to breakfast in Ottawa! Not to worry, we’ve compiled our top 5 list of best breakfast spots in the city. From the standard old school greasy spoon diner breakfast to more modern weekend brunches, you should find what you’re looking for in this list. A greasy spoon diner on steroids, the Elgin Street Diner is hands down my favorite place for breakfast in Ottawa. 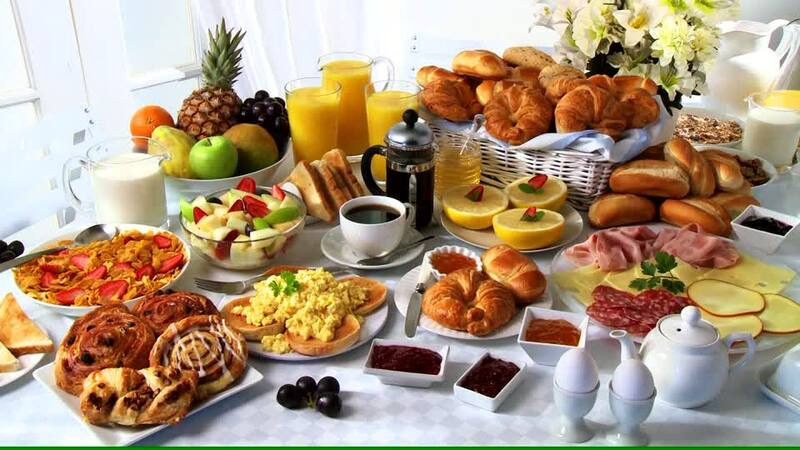 With all day breakfast options and an extensive selection of breakfast plates, omelets, pancakes and French toast, you won’t have any trouble satisfying your breakfast craving. Go big with the Blue Plate Breakfast – the traditional breakfast, except more eggs, more meat, baked beans, and a delicious poutine instead of home fries! No – this is not a joke. Drop in, or order online! I may not be able to figure out the connection between poker legend Doyle Brunson and this restaurant, but I can tell you they serve up a mean brunch menu! A traditional breakfast option starts the list off, but that barely scratches the surface. The chefs at Stoneface Dolly’s have really put their own creative mark on brunch. Most notable from the menus are the 8 different options of “Benny-Style Eggs”, the “Bobby Macs”, and the Jerk Breakfast Ribs. They don’t stop there – check out their full menu to see why you’ll definitely need to visit them more than once! This very small breakfast venue is making a big impact on the Ottawa brunch scene! Coincidentally, they’re in the original Stoneface Dolly’s location and happen to be the only other restaurant on this list serving up the british “mac”. I was there recently and can’t wait to go back. Other than the simple décor, there’s nothing traditional about this place. Going out of their way to source everything locally, they bring you the freshest ingredients available. Have a look at the menu then drop in and see for yourself. I recommend the Hash! Very popular among Ottawa residents. So popular, in fact, that you will most likely wait in line to get in. Not to worry – you’ll need that extra time to build up an appetite large enough for these portions! This is not a place you walk away from feeling anything but stuffed. If you’re not sold yet, let their menu seal the deal. A neighbourhood gourmet sandwich shop with a very solid breakfast menu. Choose from their more traditional options like the diner breakfast, 3 egg omelette, and breakfast burrito, or treat yourself to their world-famous pressed waffles. With 8 extravagant waffle creations* (plus 1 weekly special) to choose from, you’re sure to find something to suit your tastes! *Waffle menu is reduced on weekdays. As mentioned, narrowing down the many great options was a very difficult task. So many restaurants serving great breakfasts in Ottawa deserve credit. Therefore, here’s a list of honorable mentions to those who didn’t quite make the cut: Al’s Diner, Wilf and Ada’s, Reynold’s. When you’ve had your fill of our top 5 picks, give these guys your support, you won’t be disappointed! Uber in Ottawa – Drivers Wanted! Not long ago I had my first experience with Uber in Ottawa. I’d used them in my travels to other cities in various countries, but never here. To be honest, I wasn’t even sure if Uber had arrived in Ottawa yet. I was happy to learn that not only are they here, they’re growing fast! Could they use a few more cars on the road? Absolutely! But there’s no question Uber is here to stay. Whether you’re a student, looking to supplement your existing income, or looking for a full-time career, this is your chance! Make your own hours and put your car to work for you! Join Uber’s network of professional drivers today! Being a relatively new service in Ottawa, I couldn’t help myself but chat up all my drivers and ask them what it’s like working for Uber. I’ve yet to hear a negative response. Words like “flexible”, “freedom”, “extra cash” are popular in all the replies I get. I’ve met students, new residents, former taxi drivers, all excited to have the opportunity to be their own boss, make their own hours, and be a part of this growing sensation! I was especially interested in speaking to the former taxi drivers. They, after all, had the best insight into the new and old worlds (so to speak). How much can you earn? That’s up to you! With total flexibility, you can work as much, or as little as you’d like. You decide how big your paycheck should be. That’s not all. Uber has also introduced a tip option to their app, so riders can show their appreciation for your excellent service without worrying about having cash on hand. So go ahead, be friendly, go above and beyond for your customers and give them a great experience! You’ll see the results directly on your paycheck! And don’t worry – I asked a few drivers, just to be safe, and you get 100% of the amount tipped. New to the area? Not to worry! Uber’s smart phone application uses state of the art GPS technology to help guide you to the pick up and drop off point of each fare. I truly hope this message reaches enough potential drivers. Growing the Uber network in our great city will help fellow Ottawa residents and visitors alike get around town (without having to stand in the rain waiting for cabs! ), while helping many willing drivers provide for their families and their futures. Have an Uber experience in Ottawa? Contact Us to let us know how it was. There are many reasons for needing a lawyer in Ottawa. From every day support for your business, drafting a will, or buying a home, to those not so nice events where you wish you didn’t need a lawyer, but glad you have one! No matter what your reason, choosing the right Ottawa Lawyer can make a huge impact to your well being. While there are many lawyers to choose from in Ottawa, here are a few you can reach out to to get you started. Have any positive feedback about a local lawyer, or Law Firm? We’d love to hear about it! Drop us a line on our contact page. It’s a new world out there and technology is improving in leaps and bounds. Some times it’s hard to know what’s even available these days, let alone what’s right for you and where to get it! Don’t spend hours scouring the internet for articles of varying reliability, talk to an expert! Here is a growing list of local business who can help. We all know the importance of keeping healthy teeth and gums. Choosing the right dentist is half the battle! Here’s our new, but growing list of extremely capable dentists in Ottawa. Think your Dentist should make the list? Let us know! Send us their info via our contact page. Copyright © 2017 Ottawa Information Guide. All Rights Reserved.